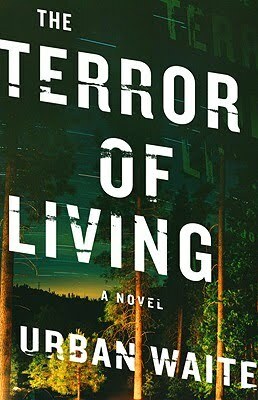 The Terror Of Living is a fast-paced crime suspense thriller that has mild to moderate expletives with many graphic bloody scene descriptions. First time author, Urban Waite, delivers an on-your-seat thriller with strong characters and a believable plot. Phil Hunt is a down-on-his luck horse rancher who is looking for one big break to put his life back in order. Bobby Drake is the deputy sheriff who struggles with his past while embracing his future. Grady, "The Chef", is the socio-psychopath bent on destroying them both. Driscoll, the DEA agent, who just wants the answers and will stop at nothing to get them. Sheri, Bobby's wife, who accepts, understands and guides Bobby thru his struggles with his past and Nora, Phil's wife, who loves him no matter what the cost. Using the Canadian/Washington wilderness pass as the main setting...we are brought into the world of drug smuggling and the high stakes that in involved. We're taken into a world where human life means nothing, only the goods being delivered are important. When a drug deal goes bad...the three men struggle against time to stay one step ahead of each other. Will Bobby's ghosts finally be laid to rest?? What drives The Chef to his madness?? And will Phil be able to save his life, his farm and Nora from the hands of a madman?? An ex-con drug smuggles in an attempt to earn some money to keep his struggling horse farm afloat. All is going as planned until a deputy sheriff stumbles upon the drug pickup that sets the catalyst of the book in motion. The "suppliers" want their product back and the lives of those who messed up and only the quick-witted will survive.